Lent is a forty-six day penitence season that begins on Ash Wednesday and ends on Holy Saturday, the day before Easter Sunday. It is symbolic of the forty days Jesus spent out in the wilderness before his ministry. Ash Wednesday is the first day of Lent and gets its name from the practice of placing ashes on the foreheads of the faithful to remind them of the dust we all return to once we die. Palm Sunday is one week before Easter and celebrates Jesus' entry into Jerusalem. This begins the Holy Week. Maundy Thursday signifies the Last Supper of Jesus with his disciples. Good Friday represents the crucifixion, and Easter Sunday celebrates Jesus' resurrection and ascent to heaven. Maundy Thursday, Good Friday, and Holy Saturday are known as the Easter Triduum or Three Days. Holy Saturday, the day before Easter Sunday, is when some churches start their celebration of Easter very late in the evening at service called the Easter Vigil. All lights are extinguished, and a single flame is brought into the pulpit by the minister who takes his flame and lights all the other candles with it. In some churches, it is customary to share a meal after the lighting of the candles. 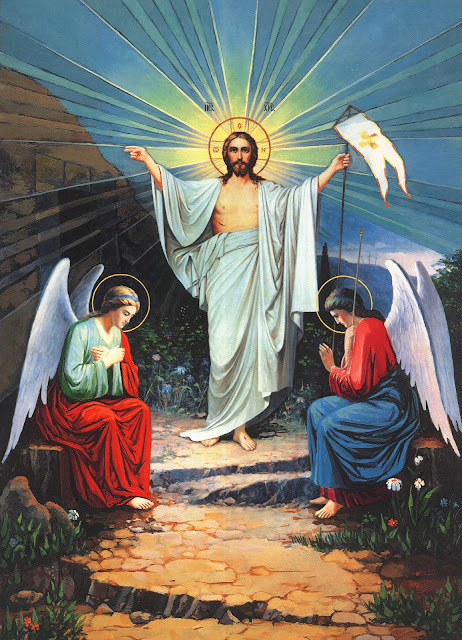 Eastertide, or the season of Easter, starts on Easter Sunday and lasts until seven weeks later on the Days of Pentecost. Easter Sunday is usually celebrated with a sunrise service and highly festive music with brass instruments. The pulpit of the church is adorned with many Easter Lilies. Easter Sunday should be that Sunday that follows the first full moon after the first day of spring or the Vernal Equinox. More importantly, we celebrate these days to relive Jesus' last days: The Last Supper, The Cross, and His Resurrection into heaven.